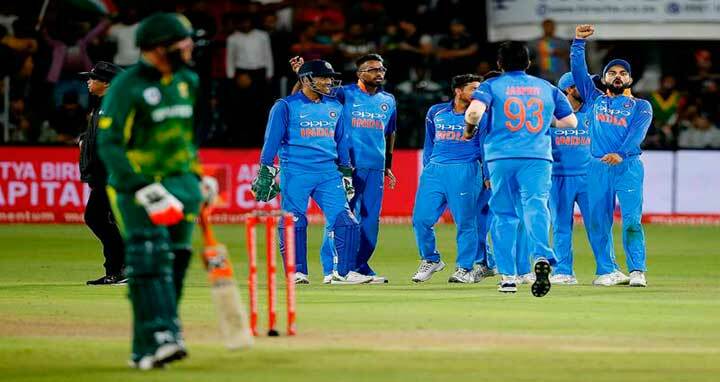 Dhaka, 14 Feb, Abnews: After winning their first bilateral series in South Africa, India have climbed to the top of the ODI rankings for the third time in six months. India overtook South Africa – who will finish the ongoing series ranked second – after beating them by 73 runs in the fourth ODI in Port Elizabeth. India are also the top-ranked Test team. India had become the No. 1 ODI side after taking a 2-0 lead in the series, but had to win four of six matches to retain that ranking after the series. If India win the final ODI, they will finish with 123 rankings points, and South Africa with 117. South Africa had to either tie or win the ODI series against India to stay at the top of the rankings.